Photography by Daniel Work. Imagery provided by Western Publicity. 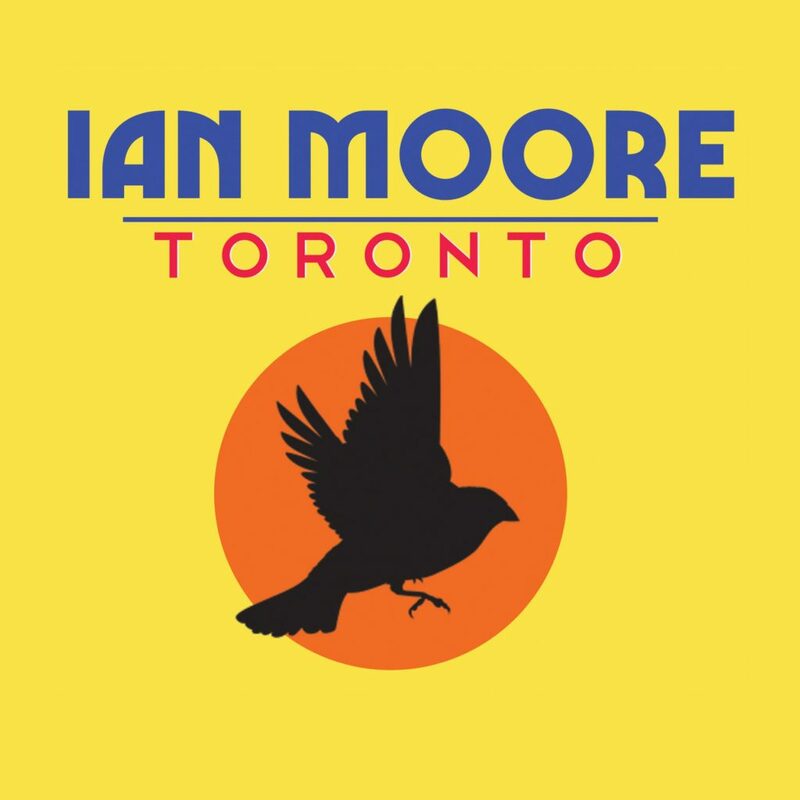 Presently, Ian Moore is touring the Northeast of the U.S. and sharing his music to promote the release of his new album Toronto. 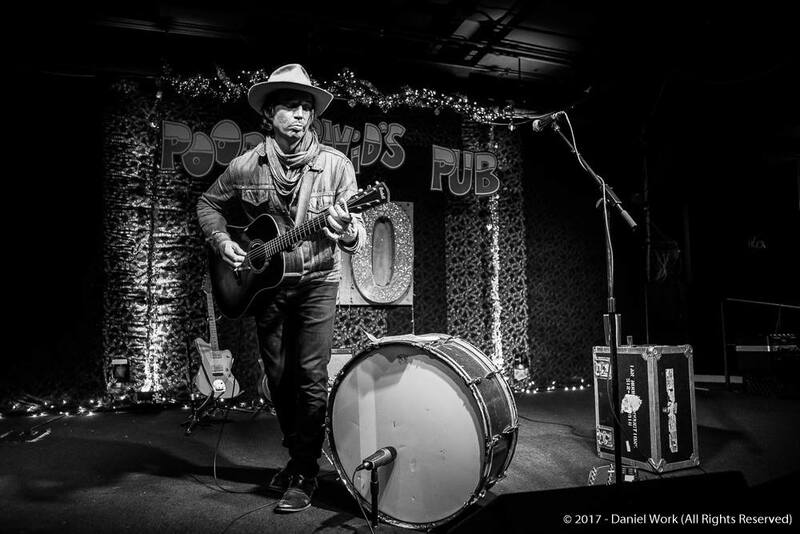 A month prior, Moore cruised through Austin, Texas in Aug. 2018 to celebrate his 50th birthday at the iconic Antone’s. Moore is originally from Austin and he’s got a lot of Texas soul within his music. His birthday celebration deep-in-the-heart-of-Texas lasted two nights. Eric Tessmer was the opening act each night. These two artists are both deeply talented at playing guitar, songwriting and vocals. At times, their music, energy and style felt electric and transcendental, which is one of the many reasons why they call it psychedelic rock. 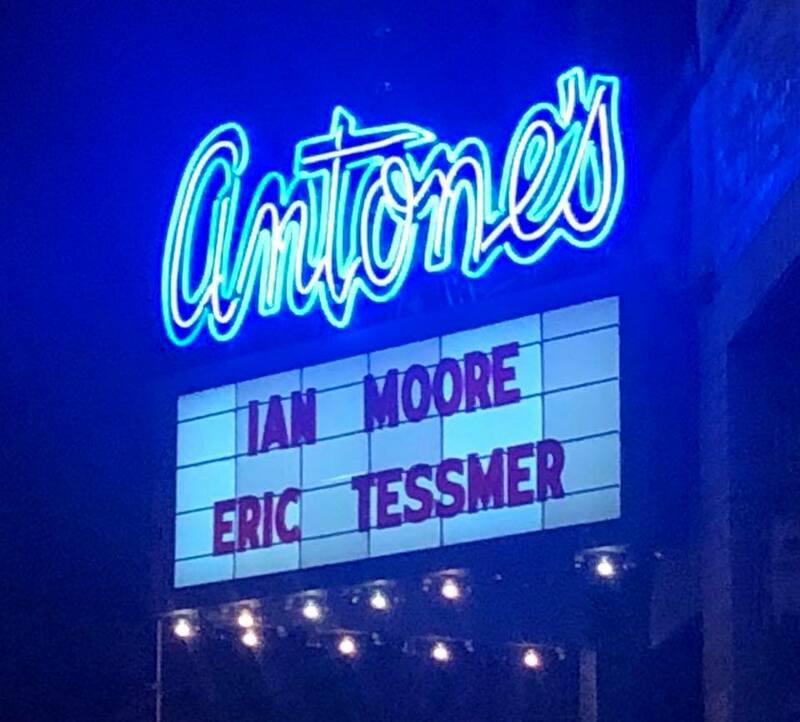 Before the ATX birthday shows that were filled to brim with many of Moore and Tessmer’s beloved fans, friends and family inside Antone’s: I interviewed Ian Moore over the phone. Another Rank & Revue (R&R) writer interviewed him years ago, but this time it was my turn to interview him. At random, my editor sent over a pitch to me from his publicist at Western Publicity to see if I wanted to conduct the interview. Once I read Moore’s bio, even though I had not heard of him before: I knew I wanted to book it. Clearly, the man has talent to venture on national tours with the Rolling Stones, ZZ Top and Bob Dylan. “Ian Moore, the Seattle-based, Austin, TX-born guitar player, singer and songwriter makes the proverbial renaissance man look lazy. Coming on the heels of Strange Days, his most successful record since his eponymous debut. 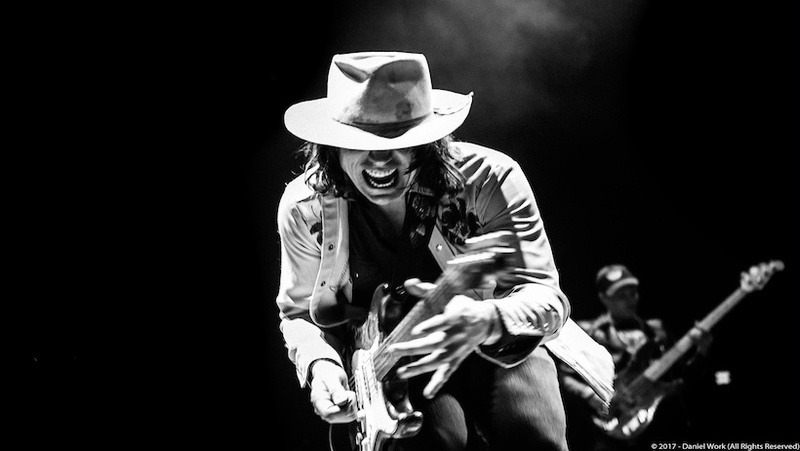 Despite a never-ending cycle of touring, Moore offers a new record of bright, blazing rock-n-roll that combines his legendary guitar prowess with radio-friendly songs that showcase his elastic, soul-inflected vocals. 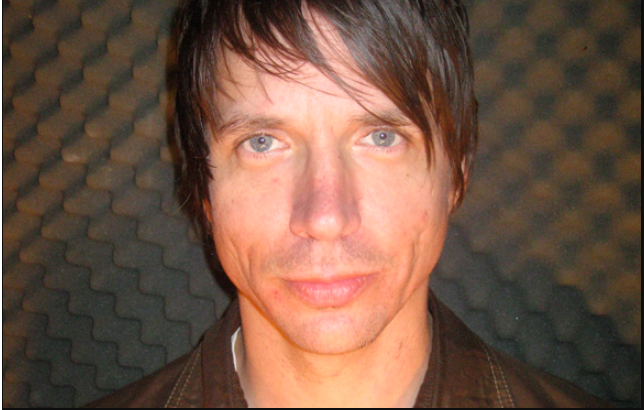 As always, Ian has his eyes on the challenges faced by musicians of every stripe, having experienced the spectrum of artist successes and tribulations over a nearly 30-year career. “It’s a very different climate right now. When we hit a city, it doesn’t matter that I have 14 records, radio hits, etc. The only thing that matters is if we can really show up and leave the people feeling they saw something amazing. Its keeps me hungry, and I like the challenge,” says Moore… You might have been surprised to hear Moore’s songs popping up on major network shows on prime time television this past year; several selections were prominently being featured as performances on both American Idol and The Voice (“Satisfied” and “Blue Sky”). He also founded the artist’s healthcare alliance SMASH (Seattle Musicians Access to Sustainable Healthcare) and has joined the board of NARAS for the Pacific Northwest as governor and head of the advocacy committee. Moore’s story is often told and probably familiar to most critics; his initial record on Capricorn propelled him to national tours with the Rolling Stones, ZZ Top and Bob Dylan, acting in the acclaimed indie feature “Sling Blade,” and having Ice Cube direct the video for his track “Harlem.” Moore deviated from his initial blues-oriented guitar sound on subsequent records, touching on graceful pop songs and the psychedelic as well as British pub rock and deep Americana. The Toronto record and its 6 tracks represents those influences in such a way that they have informed his songwriting, but is likely more recognizable as a strong collection of the kind of guitar rock his core fan base would respond to immediately”. In advance to the interview, I was reading the information Ian Moore’s publicist sent me and researching other interviews of the past. I Google’d him to read about his older albums like Capricorn. Within the photos from then and now, I noticed that Moore had super long hair in the 90’s and looked like a total rock star. Even though time has passed, he’s still strikingly handsome and very talented. I enjoyed listening to his musical style change from Capricorn to Toronto. I read a lot of lyrics. Watching his SXSW 2017 performance at Continental Club last spring in ATX: I could see Moore is in love with the guitar and the music. Texans are often known for being passionate and intense, especially the artists and athletes. As I read more and more, I realized that I was out of the loop, especially since I am an Austinite. Ian Moore has been around for three decades and I was shocked I’d never seen one of his shows. As a Texas girl and artista, I consider myself familiar with the local art scene. Obviously I was not up to track. Like many people, it seems the more I know, the less I know. There’s simply no way to keep track of all the great talent out there, and that’s sort of a beautiful thing: always discovering new artists and new music. I didn’t really know what angle to take the story. All of the music was new to me—I enjoyed many different songs from different albums—and I didn’t have much time to prepare for this last minute interview. Even though the story wouldn’t run on R&R until September. So, I figured since every other media outlet was going to be asking about Toronto and Antone’s—I decided to just get to know the artist, like any other stranger, and sort of assess what we called at SCAD, a character profile, a mini version of the artists career. On the dot, all the way from Texas, I called Ian Moore on the number his publicist provided me with. Moore was sanding an old tour vehicle outdoors in Seattle. Nicolette Mallow: Growing up in Austin, did you always have a childhood fondness for music? I read you switched from guitar to violin. Ian Moore: Yes! One of the first times I kicked in the womb was at Vulcan Gas Company. Even though neither of my parents were musicians, they were both music enthusiasts. I started playing violin as a child and switched to guitar as a teenager. When I was 16 years old, unfortunately, I cut some tendons. Still makes me a little sad to think about because that ended my violin career… When I first started playing music in Austin, I had a real hard time starting a band. My peers were into other music. They were more into the punk rock culture, but I didn’t care much for it. I was more into soul music, blues and psychedelic rock – garage rock – 50’s music. Then I found a drummer from high school and we started making music. We were the first band to ever play at Black Cat Lounge. This was a biker bar and we brought in youth and kids from all walks of life to a new scene. It was cool because this was before Emo’s and there were limited music venue’s at this time. By ages 19-20, I started touring. But yeah, it’s my 50th Birthday and Austin is my hometown. My history is as deep as any musician there. Guitar lessons. Stages. Memories. Riding bikes to Antone’s on Guadalupe. I had to celebrate in Austin. NM: Your album Capricorn launched tours with Rolling Stones, ZZ Top & Bob Dylan. That’s really impressive! 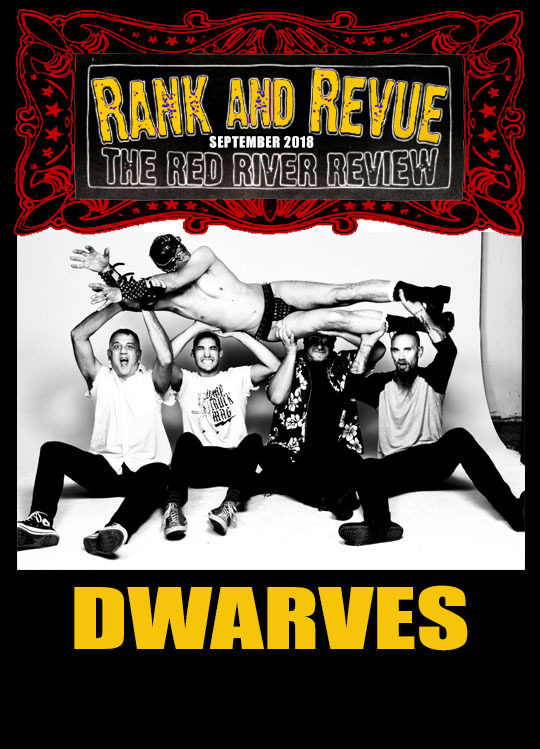 How long after the release of your first record did these tours come about. And do you recall the names of the tours? IM: Capricorn. At the time, being a blues-influence guitar player was kind of unknown territory. There was no cool roots, rock scene. I had a difficult time finding people to put the record out. It was very hard to find a placement. The label who signed this deal had managed Otis Redding. Before that, one deal after another fell a part and took a while to find a place to put my record(s). After Capricorn was released, the radio success and decent tour numbers got past the agents. Once the agents caught notice, I began touring. I think, but am not certain, the tour name with Rolling Stones was The Blue Lounge Tour and I think with ZZ Top it was the Recycler Tour. But I’m not certain, it’s sort of a blur… My band was the biggest band of our generation in ATX for a good 10 years, 2000-3000 people a night at our shows. NM: In regard to your newly release album Toronto, I read the lyrics for the songs “Satellite” and “Rock n Roll”. Tell me about the bright side and the dangers of living your life in the magic of midnight. IM: The magic of midnight and the brutal reality of harsh dawn; we are all eternal dreamers. We are prone to think the next place, town, song or etc.—we think it’s gonna be the next thing to connect us. We can continue to dream and be dreamers, but it’s intense and a lot of people cannot sustain it. A lot of people lose themselves. I’ve been doing KXP radio and I talked about pitfalls of touring and how to survive. Being focused on the music helps. You can tell where the motivation is. If you want to party—and you’re focused on the physical attention—you will wear yourself out. It’s crucial to focus on the music to sustain sanity. It’s very rewarding and spiritually fulfilling. Just gotta keep focused on the prize. Don’t lose yourself in the illusion of midnight, thinking that something greater is right around the corner… My music has been a continued manifestation of what I wanted to do. When I was young, learning how to play and sing, I did a lot of wandering. Leaving scenes and drifting into the ether, a wanderer with temporary companions. It’s been an interesting journey. Even though my most successful record (thus far) was my 1st album: I think I’ve gotten quite a bit better and become more interesting. I never chased the fame. However, I’ve become an underground artist. NM: I read your quote about the challenge of keeping the crowd enticed and how the music culture has changed. How do you sustain such energy while touring, so that you can always give the crowd the experience they’re seeking? IM: This is the hardest time to survive with music, it’s so challenging. But I have a deep passion for music. I do it all, simply because I love music. Music is most deeply motivated for me, the actual music, not the attention and the success, that is peripheral for me. No matter what, I always want to get better and write a better song and feel like if I could just concentrate harder, it will manifest… When I am all beat up and tired and miss my family: the music keeps me going. That’s the thing, I can be completely exhausted and always dig in to find that passion. NM: The transition to Seattle from ATX, over the decades, based upon your observations—what changed most within the local scene between the two cities? IM: A lot of what I do is between Austin and Seattle. I live in both towns. We had nothing here (in Washington) when I arrived awhile back. There’s been a lot more drastic changes in Seattle. Obviously, all cities are enduring major changes right now, any cool city with artists. They’re all being priced out. However, Austin is one of the best for artists, right now. At least in ATX you have some people working for you and trying to make it better. ATX is weathering the storm best. NM: Do you have any favorite or newfound cities in Europe that you look forward to touring this year? IM: Europe: I love Spain and Italy. Amsterdam. Denmark. London… I’d like to play in Portugal. It’s so cool playing in different places, but what’s cooler is playing well in the places you play. 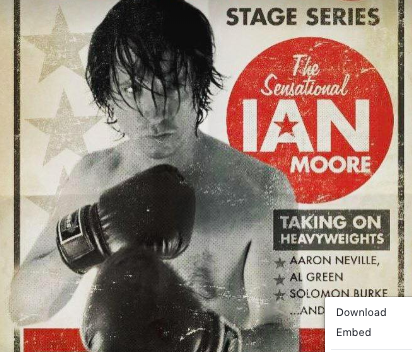 To view upcoming tour dates, listen to music or buy merchandise: please visit his website at www.IanMoore.com. Imagery provided by Western Publicity. This entry was posted in Event - Show - Festival, Featured Artist, Interview, Music Tour, Photography, Reviews, SXSW and tagged album, Antone's, Artist, ATX, Austin Texas, Bob Dylan, Capricorn, concert, Continental Club, Eric Tessmer, Guitar, Ian Moore, live music, musician, Nicolette Mallow, Rolling Stones, Seattle, songwriter, SXSW, Texas, Toronto, Western Publicity, ZZ Top. Bookmark the permalink.